Provide comfort for the family of Luisa Massaro with a meaningful gesture of sympathy. It is with profound sadness, we announce the sudden passing of our Mother and Nonna Luisa Massaro (née Bizzarro) on March 31, 2019 at the age of 94. Predeceased by her loving husband Cristofaro Massaro. Devoted 2nd eldest daughter Teresa Bove. Reunited with her firstborn, baby Teresa. Luisa will be forever in the hearts of her children; Angelo (late Nancy Massaro), Maria (Joe Allegro), Ralph (Mary Massaro) and her son-in-law Luigi Bove. Loving Nonna to 11 grandchildren; Anna, Lily, Luisa, Jenny, Lisa, Sabrina, Michael, Daniel, Jean-Luc, Matthew and Sarah. Proud great-grandmother to 17 beautiful great-grandchildren. She will be sadly missed by many nieces and nephews, she is the last of her generation. Deepest gratitude to the staff at Villa Colombo Vaughan Di Poce Centre for their care and compassion. Visitation will be held at DeMarco FuneralVisitation Centre (8003 Weston Road, Woodbridge, Ontario) on Wednesday April 3rd at 2:00 pm - 4:00 pm and 6:00 pm. - 9:00 pm. The funeral mass will be celebrated on the following day Thursday April 4, 2019 at 9:30am, at St. Peter's Roman Catholic Church (100 Bainbridge, Avenue, Woodbridge, Ontario) Entombment to follow at Prospect Cemetery (1450 St. Clair Avenue West, Toronto, Ontario). In memory of Luisa, donations may be made to The Alzheimer Society or The Canadian Cancer Society. 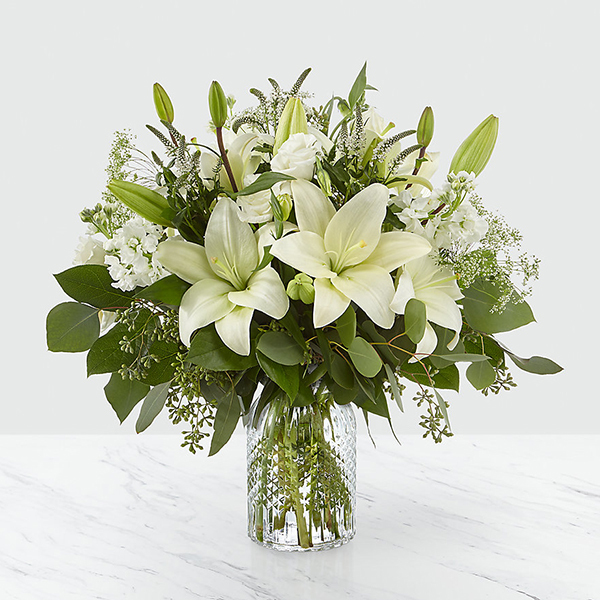 To send flowers in memory of Luisa Massaro, please visit our Heartfelt Sympathies Store. Caterina Bizzarro and Carolyn, Dana, Tina and Deb have sent flowers to the family of Luisa Massaro. You will stay in my heart forever. You will be missed by all your loved ones. Rest In Peace. Caterina Bizzarro purchased flowers for the family of Luisa Massaro. Carolyn, Dana, Tina and Deb purchased flowers for the family of Luisa Massaro.